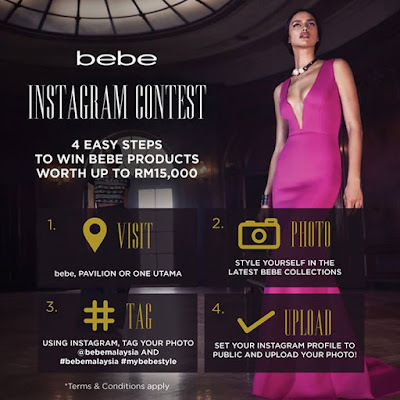 Category 1: Entry Prize - First 20 submissions will receive One (1) RM50 bebe Cash Voucher and a free clubbebe membership worth RM400 per Instagram account. Style and snap a photo of yourself in any bebe collection. Set instagram on public and upload your photo. Visit #mybebestyle Instagram Contest terms & conditions for more details.